Today on Dub Talk: Megan hosts her first uploaded episode of the podcast while Steph takes the passenger seat. After having volunteered for the Diabolik Lovers episode, Steph decides to return the favor for Megan. Meanwhile, as punishment for being unable to complete the Prison School episode of the podcast, NoahClue is thrown into the mix as well. 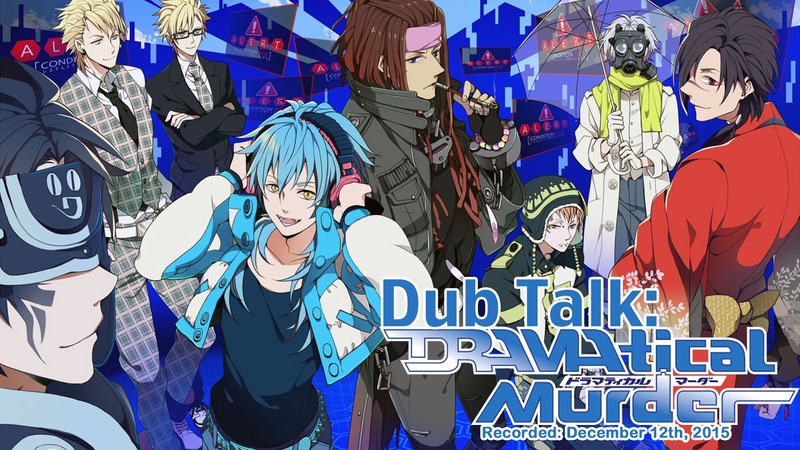 What results is another good old funny bad episode of the podcast as the trio discuss the english dub announcement for the video game turned terrible anime series: DRAMAtical Murder... Long story short... Don't watch the show. Especially the OVA episode.... My god!